The fire trucks are constantly changing and upgrading, depending on the service that they provide. 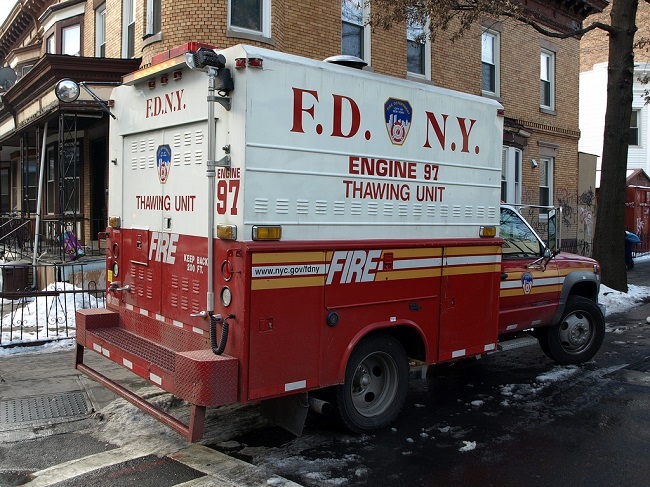 In regards to the fire apparatus, the FDNY has come a long way. From the first hand-drawn pump to the latest drones helping with extinguishing fires. 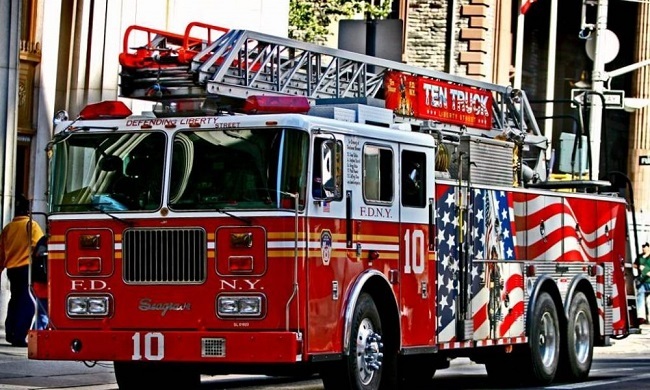 The New York City Fire Department (FDNY) is made up of five fire companies. Each fire company operates a single type of Fire Apparatus. 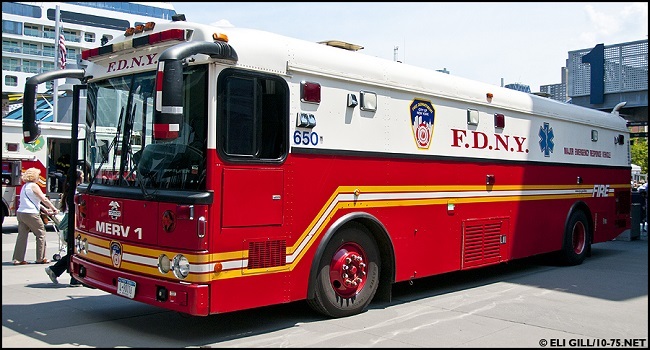 The fire trucks or apparatus are all the vehicles that have been customized to serve for the FDNY. The service can include firefighting, vehicle extrication, urban search and rescue, medical emergency, water rescue and plane crashes. Today, there are 198 Engine Companies, 143 Ladder (Truck) companies, 5 Rescue Companies, 7 Squad Companies, 3 Marine Companies and the hazardous Materials Company. 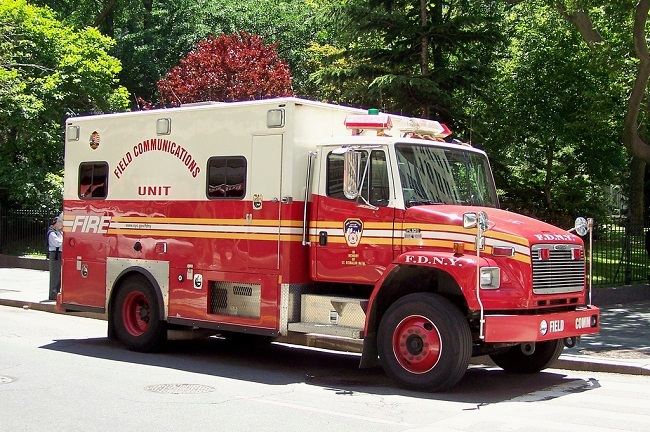 Each of these companies uses a certain type of fire apparatus or “rigs”. These companies are task with securing a water supply from a fire hydrant and to extinguish a fire. The apparatus is known as a PUMPER TRUCK and carries a pump (1,000 to 2,000 gallons per minute), a water tank, fire hoses of various lengths, emergency medical supplies and extensions ladders. An Aerial Ladder Truck. It is equipped with a 100’ aerial ladder mounted at the rear of the apparatus. A Tower Ladder Truck. It is equipped with 75’ or 95’ telescoping boom and bucket mounted at the center of the apparatus. A Tractor Drawn Aerial Ladder Truck (Tiller/Tractor Trailer). It is equipped with 100’ aerial ladder. FDNY rescue Companies are composed of the elite and specially trained, most experienced members of the department. They are tasked with responding to the specialized fire and rescue incidents. They operate RESCUE Trucks (“Tool Boxes on Wheels”) and they carry a specialized tools and equipment. They respond to fires within their response district as well. 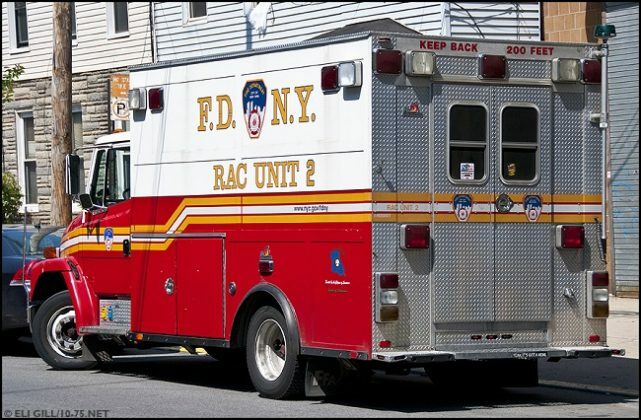 There are 5 rescue service centers of this type and they each serve one of the five Boroughs of New York City (Manhattan, Brooklyn, the Bronx, Queens and Staten Island). They consist of specially trained firefighters, as well. They were first established to serve as “manpower companies” to supplement the man power and operations of Engine and ladder Companies. The members of the squad companies are highly trained in mitigating hazardous materials (Haz-Mat) incidents. They operate a Freightliner M2 based medium rescue apparatus. They are the FDNY’ fireboats. They are tasked with scuba/dive rescue in New York’s rivers and harbors. The FDNY’s three marine companies operate large fireboats and smaller rescue boats to respond to various marine incidents. 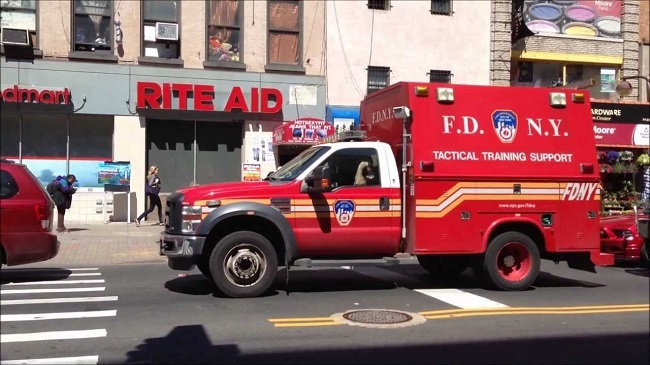 The FDNY Haz-Mat Company respond to all major city hazardous incidents, building collapses, contamination-related incidents, terrorism-related disasters and other major emergencies. The members of the Haz-Mat Companies are highly trained to deal with extreme and hazardous situations. The Haz-Mat Company operates a Haz-Mat Truck, similar to a Rescue Truck, which carries a variety of equipment to deal with hazardous situations. Haz-Mat also operates a smaller Rescue Truck, which carries extra equipment. 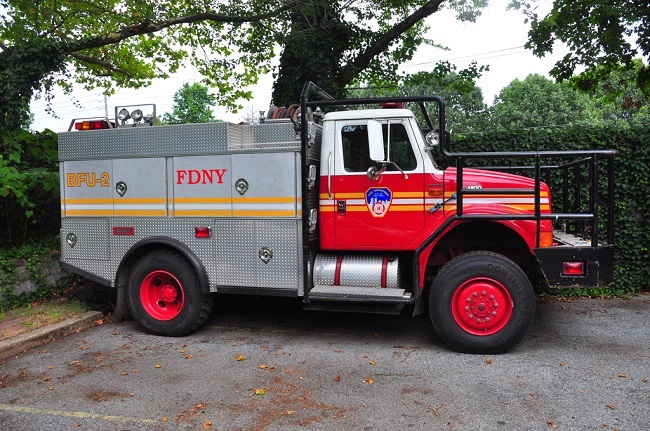 FDNY in recent years, has used few fire apparatus manufacturers exclusively. In 1970, Mack and American LaFrance made most of the pumpers and ladder trucks in the fleet. Later on, Mack was producing only the chassis and Ward was producing the apparatus bodies. Mack collaborated with Baker Aerialscope to create the tower ladders. After Mack stopped with the production, Seagrave was the main manufacturer for the fire apparatus. Now most of the fire apparatus in the FDNY fleet are Seagrave Commander II or Seagrave Marauder II. They include 500 gallon water tanks and 1,000 or 2,000 gallon per minute pumps. 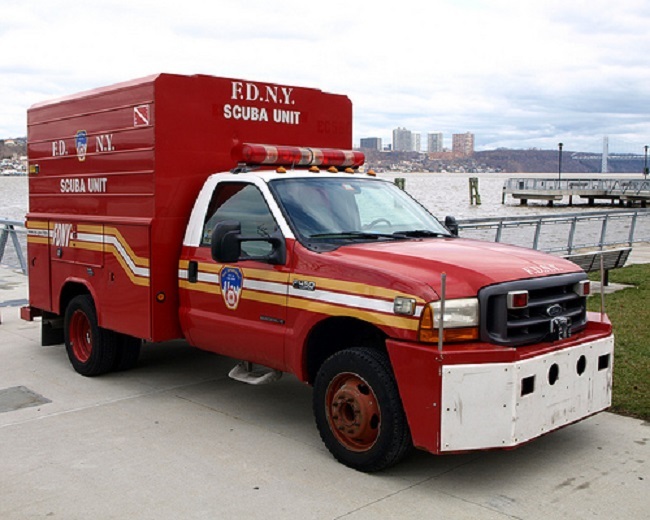 After 9/11 FDNY started using fire trucks engines made by other companies like Ferrara, KME and E-One. They are making a “Split-Tilt” cab now, instead of the Seagrave fixed one. Ladder Companies are usually equipped with Seagrave aerials. Ladder length depends on the geographic area, that the unit is stationed. When operating in a older part of the city, more room for maneuver is needed. Then the Tiller Trucks are used. Most FDNY aerials are built with75’, 95’ or 100’ ladders. The heavy rescue trucks used now, were built by Ferrara. 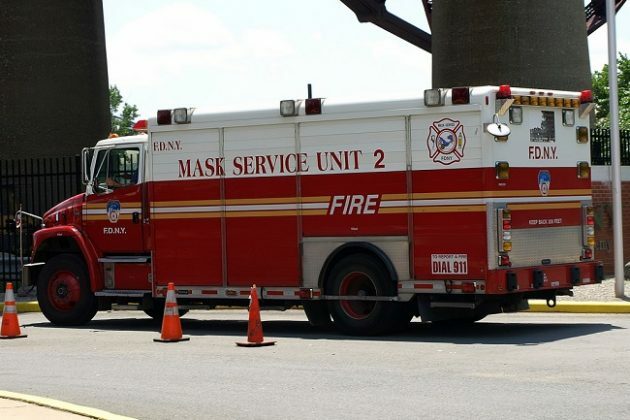 Other specialty units like Haz-Mat trucks and collapse trucks are made by American LaFrance, Pierce, E-one, Freightliner and Ferrara. 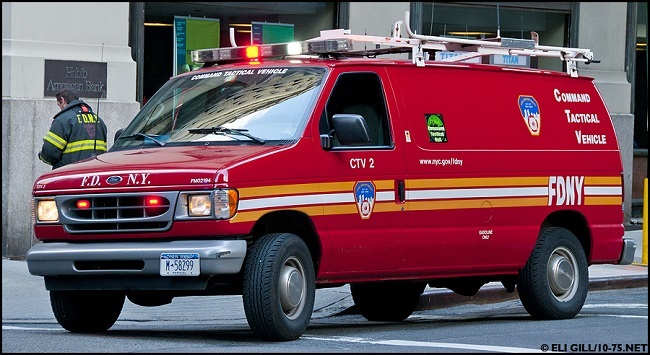 Various body types include standard and heavy rescue bodies, step vans, and smaller units, used by FDNY battalion and divisions chiefs, are produced by GMC and Ford. 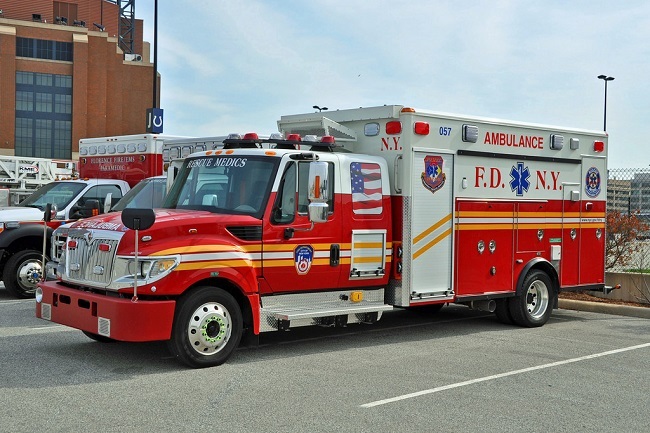 The ambulances currently used by FDNY are made by Horton Ambulance and the modules are generally mounted on Ford F-350 light truck chassis. Some of the older ambulances were built by Southern Ambulance Builders and mounted on Chevrolet 3500 chassis. Beside professionally employed firefighters, there are volunteer firefighters, as well. They usually respond and work in the more isolated parts of the city. Battalion Chief’s unit– a command vehicle used for delivering a Battalion Chief to the incident scene. Division Chief’s unit– command vehicle for the Division chiefs. Mask Service unit– the equipment in these vehicles refills the air bottles used by the firefighters to breathe in a fire. Recuperation care unit– vehicle outfitted with equipment to provide rehabilitation to firefighters. Field Communication unit– specially equipped vehicle with communication devices to provide communication support. Tactical Support unit– 4×4 vehicle equipped with generators and high intensity lights, for a support during low light conditions. Thawing unit– vehicle carrying a portable-steam generator boiler to thaw frozen hydrants. Brush fire unit– a four-wheel drive vehicle to reach remote terrain, to extinguished fires involving grass, weeds and other vegetation. 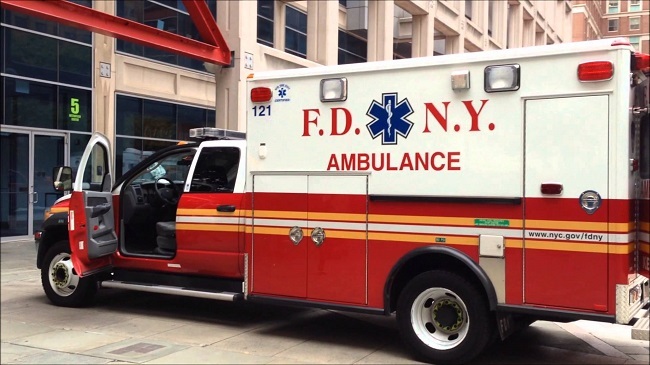 Ambulance– The FDNY staffs EMT-Basic and EMT Paramedic Ambulances to provide emergency medical service to New York City. Haz-Tac Ambulance– 39 EMS units are trained to the Haz-Mat technician’s level, allowing them to provide medical care and decontamination, if needed. Rescue Medic– paramedic ambulance specialized in medical care in austere environments. 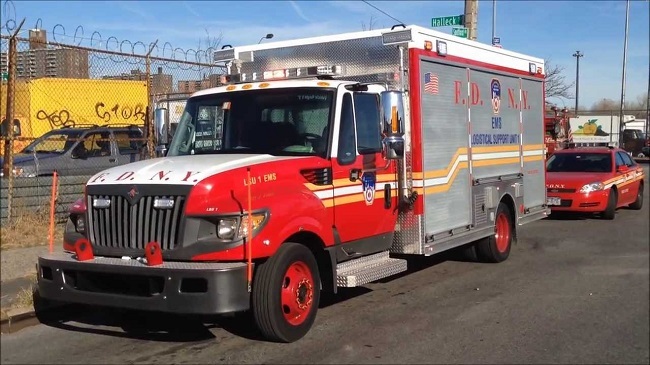 EMS Conditions unit– vehicle assigned to an Emergency Medical Service supervisor. 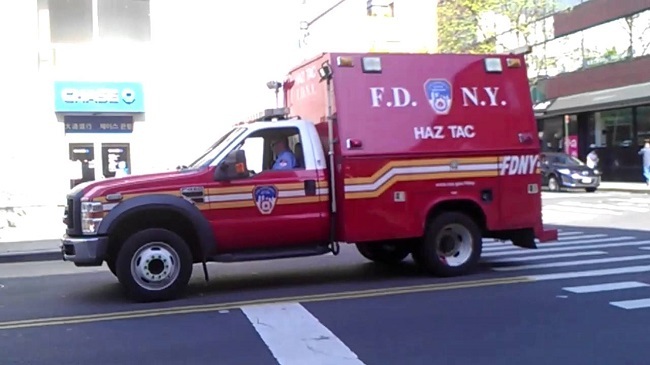 Haz-Tac Battalion unit-vehicle for the Emergency medical service Supervisor, responding to a special assignments with the Haz-tac battalion. 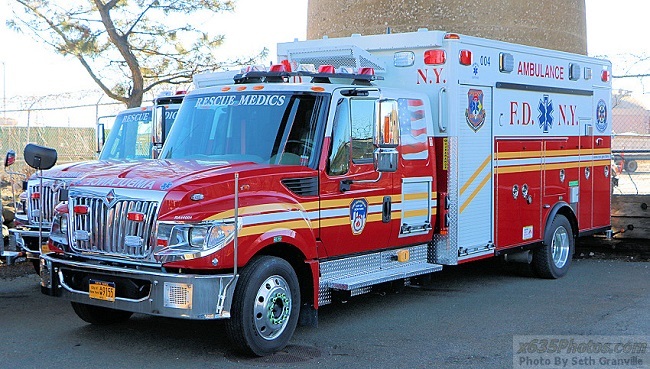 EMS MERV unit– vehicle assigned to all major medical emergencies, within its borough. EMS LSU unit-vehicle assigned to all medical emergencies that have multiple patients. The Best Smoke Parade Ever!